Forest Beach features three miles of sandy beaches reaching from the Sea Pines Resort ocean gate to the Crown Plaza Resort in Shipyard Plantation. Forest Beach homes range from older quaint beach homes to new beachfront manors. 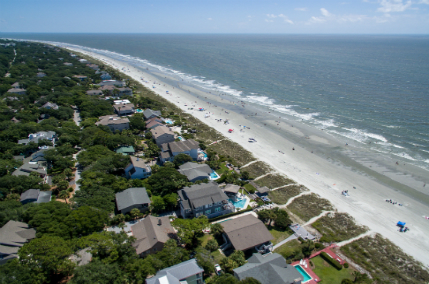 It is a great beach town and is often referred to as “Downtown Hilton Head” because it is in the heart of the Islands Beach with dining, shopping and beach in one central area.